ICO’s have recently become the hottest investment item in the digital world, raising nearly $1.2 billion USD since their inception. Venture capital has traditionally served as the main investment vehicle that startup businesses utilize, but the new decentralized business model with its massive implications to society have garnered the fundraising machine an unprecedented amount of support. ICO’s offer a radically new way of initial funding, allowing companies to offer “tokens” rather than shares of common or private stock. Tokens are essentially the cryptocurrency that a company holding an ICO is selling to users in order to raise funds. Tokens can generally either be used on the platform or held for voting power to make decisions about the future of the platform. These token sale events are moderated by smart contracts. If you have never heard of them, smart contracts are basically rules and regulations that are automatically enforced on a platform, and can hold and/or send money between parties. For ICO’s, these smart contracts automatically enforce the rules surrounding the token’s value, use and regulations. They allow for new types of currencies to be established within Ethereum’s blockchain, so they can be transacted alongside ether. The beauty of these tokens, and what has sparked so much interest in initial coin offering events, is the vast amount of ideas that can be created through this new model. These decentralized applications (dApps) can use their platform to connect the decentralized business model with smart contract use cases to radically shift existing markets. For example, a new platform called Lunyr seeks to create the new, more efficient version of wikipedia. Users can submit content and have it verified on a public ledger, all while being regulated by smart contracts. In addition to all of this, ad revenue will also be managed by smart contracts and distributed to all viewers and writers that visit the platform. They were able to raise $3.4 million in just under a week. This is only one example of a radical new idea, and there actually dozens of ICO’s that occur every month. Until recently, there has only been speculation as to what kind of regulations may eventually be imposed on ICO’s by the SEC. With so much money being funneled into these companies, their software or other revolutionary ideas without any regulation, experts argue that it was only a matter of time until these massive crowdfunding episodes would receive government attention. The issue that the SEC has with ICO’s is not just the amount of activity and funds involved, but the actual assets that buyers are receiving when participating in an ICO. If an asset offers an investment opportunity with a reasonable expectation of a return, then it could possibly be classified as a security and therefore adhere to the investment contract clause of the Securities Act of 1933. When this is applied, the company is responsible for a lot of paperwork and documentation, which must be put through a lot of red tape. As defined by the supreme court in 1933, a security is defined as a reasonable investment into a common enterprise with the expectation of profit solely from the efforts of the promoter / third party. If deemed as a commodity, though, the regulations are less severe. Some argue that cryptocurrency is a commodity, such as gold. This is due to the fact that cryptocurrency is mined just like many physical commodities, even though it is digital. While this may be true, the SEC has definitively weighed in on ICO’s and warned against pending regulations. It seems ICO’s are safe, but newcomers will be scrutinized when U.S. residents are involved and expecting profits. Because of this public warning, it is now much harder for U.S. residents to find ICO’s that will allow their participation. For new ICO’s, funds may be limited and the possibility of the SEC dipping its hands into their funds is not a welcome thought. 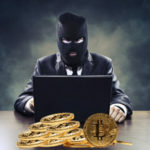 In addition, cryptocurrency itself is designed to be free of governmental oversight, and these visionary projects may not want to run the risk of getting legally involved with the United States government, as most ICO’s are run outside of the U.S. Once Americans are involved in the ICO, it has the risk of causing the entire crowdfunding event to be regulated the same way that U.S. IPO’s are. These regulations include large fees, as well as scrutiny over the transactions, the amount of funds raised, the nature of the coin being offered, and what its inherent characteristics are. As you could imagine, the high level of attention and potential risk is motivation enough to cause most cryptocurrency related companies to ban U.S. citizens from participating in their ICO’s. Despite this cutoff, ICO’s have continued to raise enormous amounts of money. This is one of the main reasons why most ICO’s have not allowed U.S. participation recently – it is simply too much of a risk to create such a vulnerability within a potentially successful coin sale. Although this is the case, there are still ways that U.S. investors can participate and run successful ICO’s. Regulation A+ is a piece of financial legislation passed during Obama’s administration which was meant to be an alternative to IPO’s. This regulation states that anyone, regardless of income or current assets held, could invest in fundraising events that aimed for between $3 million and $50 million. This helped allow the entire public to be able to make profits from the lucrative investment market at the time, and removed total control from the rich and affluent. If ICO’s adhere to the regulations of this act, then anyone would be able to participate and be free of scrutiny. While there have been no specific regulations placed by the SEC as of yet, the warning signs were heard worldwide. 2018 is being predicted by many as the year of the ICO, with some exciting projects coming. With vast amounts of opportunity looming on the horizon, hopefully the SEC will allow its citizens to participate in the dawn of these revolutionary projects. 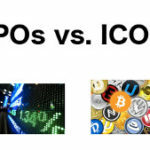 Currently, however, most ICO’s will likely not permit U.S. participation until the SEC is more clear about their regulatory standards on initial coin offerings.